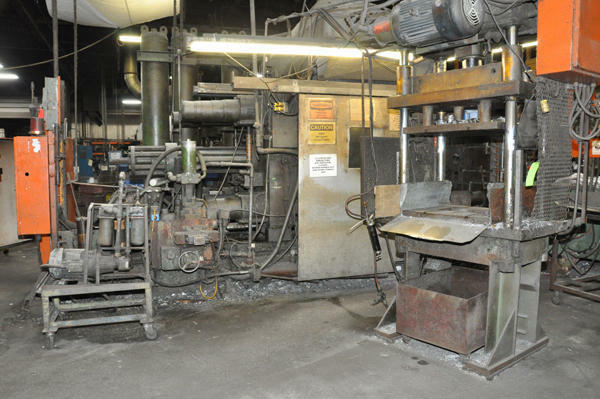 Used HPM 800 Ton Horizontal Cold Chamber Aluminum High Pressure Die Casting Machine. Inventory item: DCM-4342. Available with MPH Holimesy Aluminum Holding Furnace, Rimrock 209 auto-ladle and Greenlee B&T Rapid-Press four post hydraulic trim press.